Are you ready for some FOOTBALL!? We definitely are! We live right around the corner from Notre Dame, so tailgating and hosting football parties is what we do best around here. Saturday was a home game, so excitement was really in the air in our area. 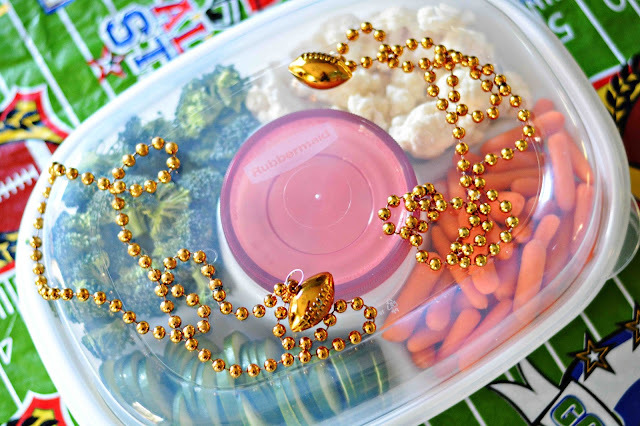 It's always so fun to see everyone dressed up in team colors, good nature bantering with rivals, and let's not forget one of the most important parts of tailgating before the game: The Food! Whether we are hosting at home or hitting the road, we always make sure we have enough good eats on hand. One of the most important things about food is finding proper storage to keep it fresh and safe for transportation. That's why I have been a fan of the Rubbermaid brand for years. They have every product that I need to help keep my food the life of the party! My favorite feature has to be the twist and seal container that keeps my dips secure. 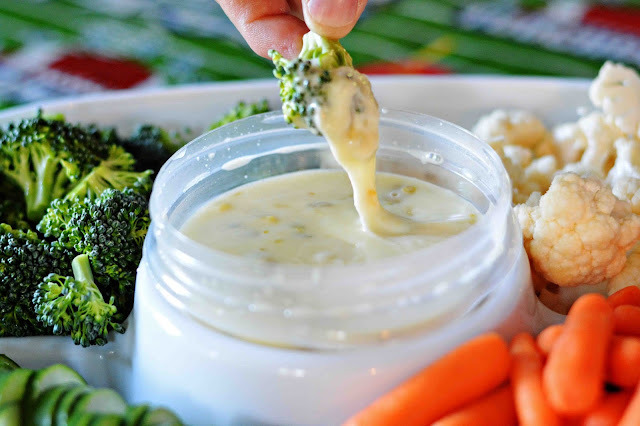 We just made my favorite Queso Blanco Dip this weekend and paired it with crisp veggies. Is was so delish! Directions: Add all ingredients to a heavy bottom sauce pan. Heat on medium heat until cheese is melted and all ingredients are blended. Serve immediately with chips or veggies. Store in an airtight container in the refrigerator. *Reheat in the microwave in 30 second intervals, stirring after each until it reaches a creamy consistency. 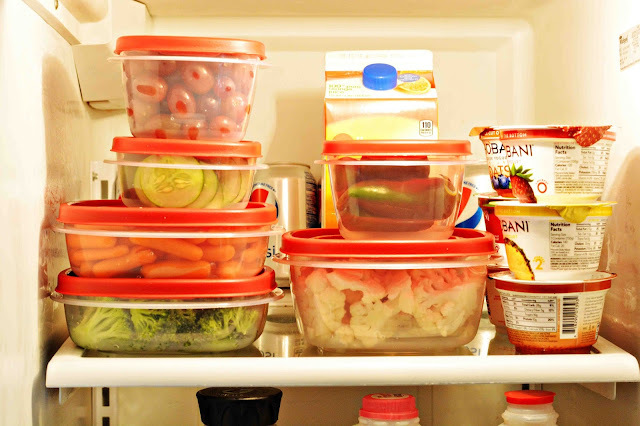 We love to store our leftovers in Rubbermaid Easy Find Lids™ containers. The lids in this food storage system snap together and snap to the bottom of their matching container, ensuring the right lid is always at your fingertips! The containers all nestle together perfectly, so they don't ever take up a ton of room in my cupboards when not in use. I do like how they stack nicely, so I can always find what I am looking for quickly in my refrigerator. Rubbermaid definitely has me covered for game day food storage and transportation! 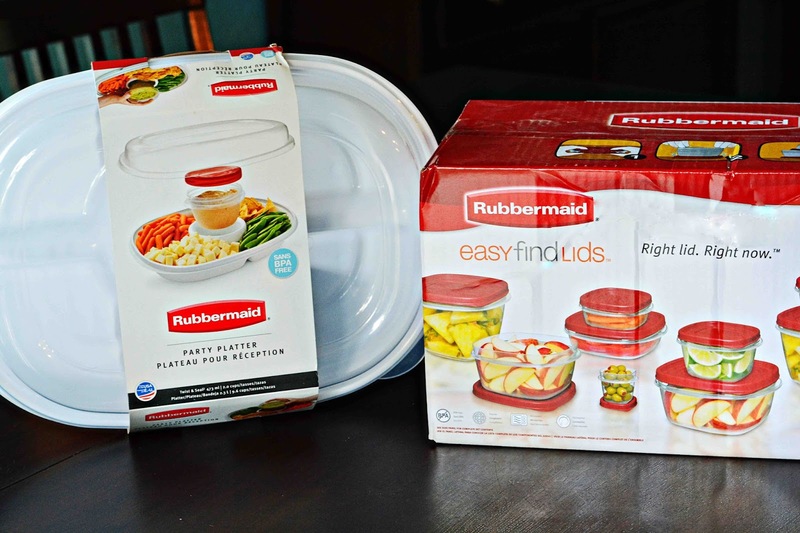 If you would like to learn more about these products, check out the Rubbermaid website. Additionally, stay up to day on new products and promotions by following along on Facebook, Twitter and Pinterest. 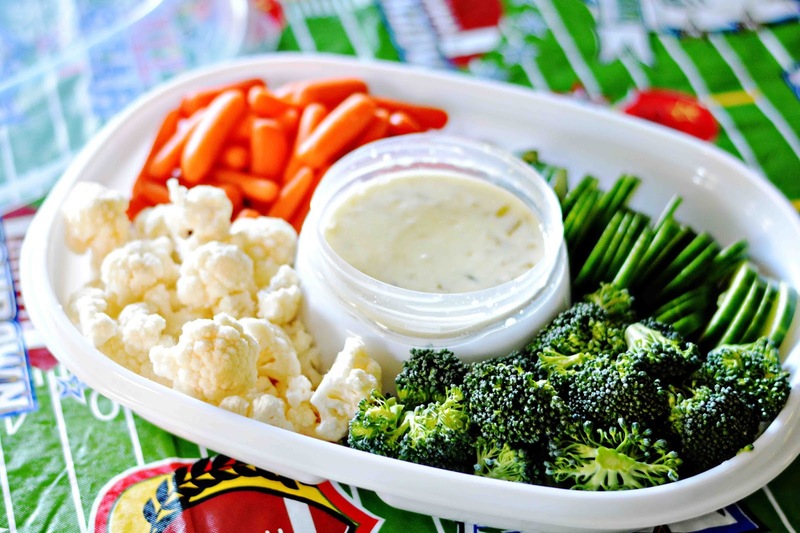 What's your favorite game day snack? when you mentioned "tailgating" I immediately thought of when you tailgate another car.. so didn't really catch it haha. Hate it when I transfer food around and it spills out of the containers so great that you managed to find these!! Enjoy your parties! that does look wonderfully practical! We keep most of our dips & snack foods in Rubbermaid containers, too! It's the easiest way to store them! I should so get this set. We have so many lids that are broken. I looked on Amazon to replace them, and the lids alone are more than the containers. It's pretty sad. I told Travis that we should make a company that just sells reliable lids for containers. We'll just have to get a new set. I love Rubbermaid containers. I use them all the time. Whether I'm packing a lunch or snacks for a road trip, they're always perfect. 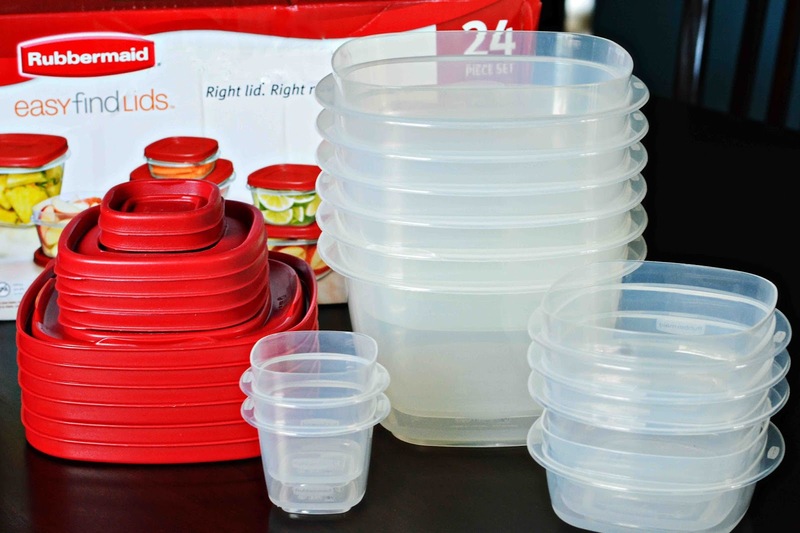 I love, love, love Rubbermaid. I used to have this very set and I wish I still did. This is one you miss when it's not in the kitchen!! And hurrah for football season! That dip sounds delicious. Rubbermaid makes taking food places so easy. We only use the Rubbermaid containers because they last forever and keep my food fresh. Tailgating would not be the same without it! I'm definitely a fan of bringing these on trips. There's no better way to keep the food fresh and safe! You have to love those lids. Rubbermaid is perfect for tailgating! You can have all the delicious food you want without worry of the dishes breaking. We love Rubbermaid! Have an entire drawer full of their containers. Love that they are BPA free and that they seat so well on top of each other as shown in your photo! Yes! I need to come tailgating with you. All of this looks delicious. I want this I want this I want this!!!!!!!!!!!!!!!!!!!!! And, now I'm craving dip and carrot batons! Love Rubbermaid products. Makes life so much easier for storage... big and small items. Every room in our house has something Rubbermaid. The Missus loves Rubbermaid. We've got so many of those things you wouldn't believe it. They're everywhere. I love that you can fit the dip container right inside the serving container - the fact that you usually cant is always something that has drove me crazy! Wow I think rubbermaid products are essential for tail gating! Having everything in a container with a top for easy storing. I have never been tailgating but seems like SO much fun! I LOVE Rubbermaid containers! I use them DAILY in my house! I like that party tray. I need something like that to take to my book club. I love Rubbermaid! They always have the most reliable, durable and convenient containers. I love that they come in a variety of shapes and sizes to suit whatever foods you may need to store in them.